Since moving as a teen, Marcus Data has been at the heart of Reading’s local music scene having been involved in crews since his early days in hometown Hayes. 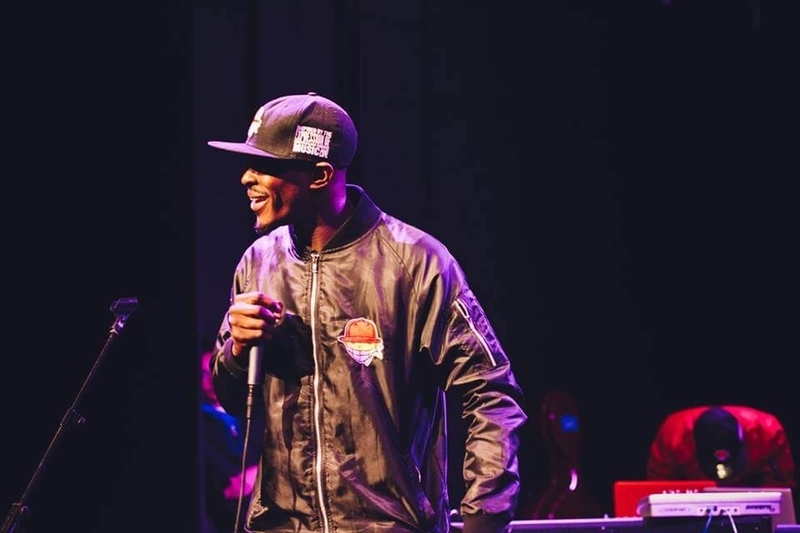 Thanks to a youth spent secondhandedly discovering decks and mics through friends’ older brothers, Marcus learnt through observation and a diet of Nas, Busta Rhymes and UK scenes such as jungle, garage to grime, and immersed himself in the crews, clubs and youth clubs of the then little known underground grime culture. After the realisation that he could do it himself, Marcus joined first crew 2Heavy which joined forces with another to become locally acclaimed Skandalous Squad. They took to London clubs such as Royals. Marcus found time for fusion project “Engine Earz Experiment” seeing him tour internationally with Akala, The Streets, DJ Shadow, Enter Shikari and play festival such as Outlook, Glastonbury (no less than 3 times) and Lovebox. Spending 2-3 years experimenting and crafting himself (including dropping the Data Scales moniker: a nod to his early infamy as the tech guy, and his libra star sign) and experiencing the music industry from the inside, Marcus Data— “big on progression and self-belief”— is embracing his ethos of “overcoming situations” Marcus’ purpose— and it is within his focused trajectory as an artist to call it a purpose— is to work on a project that’s “all him”.